Carbon Arc has a 7pm screening this Saturday of a Best Foreign Language Film nominee for this year’s Oscars—Theeb, a truly remarkable film set in Jordan one hundred years ago, offering the pleasure of revisiting the spectacular desert vistas of Lawrence of Arabia with the depth of visual field that today’s digital cameras offer. Using non-professional actors for authenticity’s sake, which can be a tricky choice, works perfectly in the case of these Bedouin debutants, and I found I was contemplating the ending for days after I saw this film. Before that, on Friday, Carbon Arc has two screenings of the equally well-reviewed Turkish coming-of-age tale Mustang, and in the 9pm slot on Saturday there’s a screening of the 52-minute documentary Strange and Familiar: Architecture on Fogo Island, followed by an informal reception to launch Darrell Varga’s new book: Shooting from the East: Filmmaking on the Canadian Atlantic. Meanwhile at the multiplex this Friday, “awesomely named Norwegian helmer Roar Uthaug has made an equally impressive tsunami-peril thriller — a thunderous rumble-rumble-hustle-hustle-glub-glub nerve-racker that hits all the same beats as its Hollywood equivalents, right down to the implausible group hug at the end.” Yep, it’s The Wave, and if it is half as much fun to watch as it seems this review was to write, it should be a pretty good time. The annual Women in Film and Television Atlantic conference called Women Making Waves (WMW) is happening this week, with a couple of screenings of note. On Thursday at the Company House it’s Ingrid Veninger’s He Hated Pigeons, which, as per the director’s preference and practice for this film, is presented with unique live accompaniment, this time by Holly Arsenault. On Friday there’s a showcase of low-budget films directed by women, both Atlantic Canadian and international. The Dalhousie Art Gallery’s Wednesday evening noir series continues this week with the 1948 Abraham Polonsky film Force of Evil, with John Garfield. Out of town, there are final chances to see Carol on the big screen in Liverpool on Wednesday and Annapolis Royal on Friday. Fundy Cinema in Wolfville has Laurie Anderson’s Heart of a Dog on Wednesday and, on Sunday, two screenings of Suffragette, a film that took a PR hit with some marketing missteps, but still managed to pull in double its budget at the box office. Wednesday (Mar 2) — Force of Evil, Dalhousie Art Gallery, 8pm, free. Abraham Polonsky, USA, 1948, 78 minutes. Thursday (Mar 3) — He Hated Pigeons, The Company House, 2202 Gottingen St, 8pm, $10. Ingrid Veninger, Canada/Chile, 2015, 80 minutes. Friday (Mar 4) — Mustang, Carbon Arc Cinema @ the Museum of Natural History, 7pm & 9pm, $7. Deniz Gamze Ergüven, France/Turkey/Germany, 2015, 97 minutes. — The Wave, Cineplex Park Lane, 7pm & 9:30pm, regular pricing. Roar Uthaug, Norway, 2015, 105 minutes. — Inspire/Innovate: a Showcase of Low-budget Films Directed by Women, The Regency Ballroom @ The Lord Nelson Hotel, 8pm, $10. 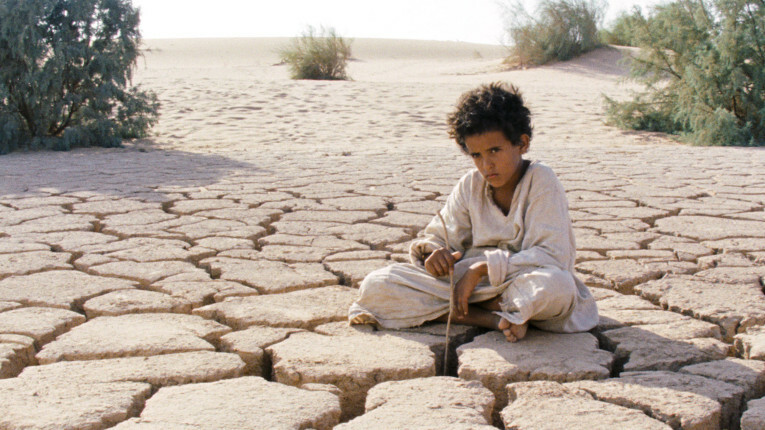 Saturday (Mar 5) — Theeb, Carbon Arc Cinema @ the Museum of Natural History, 7pm, $7. Naji Abu Nowar, Jordan/UAE/Qatar/UK, 2014, 100 minutes. — Strange & Familiar: Architecture on Fogo Island, Carbon Arc Cinema @ the Museum of Natural History, 9pm, $7, followed by reception to launch Darrell Varga book. Marcia Connolly & Katherine Knight, Canada, 2015, 52 minutes. Wednesday (Mar 2) — Carol, Astor Theatre (59 Gorham Street, Liverpool), 7pm, $8. Todd Haynes, USA, 2015, 118 minutes. — Heart of a Dog, Acadia Cinema’s Al Whittle Theatre (450 Main Street, Wolfville), 7pm, $9. Laurie Anderson, USA, 2015, 75 minutes. Saturday (Mar 5) — Carol, King’s Theatre (209 St. George St., Annapolis Royal), 7pm, $8. Todd Haynes, USA, 2015, 118 minutes. Sunday (Mar 6) — Suffragette, Acadia Cinema’s Al Whittle Theatre (450 Main Street, Wolfville), 4pm & 7pm, $9. Sarah Gavron, UK, 2015, 106 minutes.